A. S. Patrić is a bookseller and teacher of creative writing. He is the author of two short story collections, Las Vegas for Vegans and The Rattler & other stories, and also a novella called Bruno Kramzer. 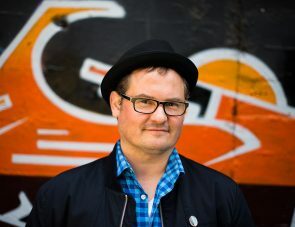 His debut novel Black Rock White City was published to critical acclaim in 2015 and was the winner of the 2016 Miles Franklin Literary Award. His second novel Atlantic Black will be published by Transit Lounge in 2017. Alec lives in bayside Melbourne with his wife and two daughters.